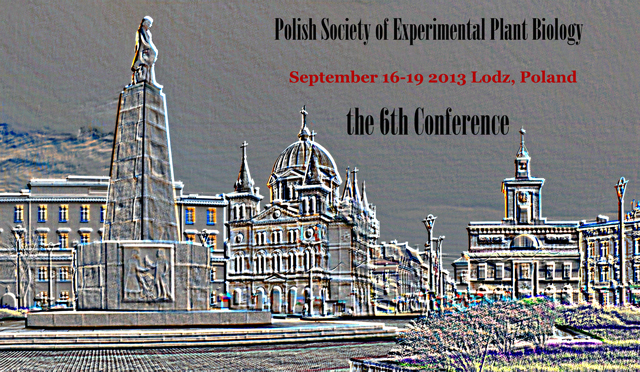 The Organizing Committee is very pleased to invite you to participate in the 6th Conference of The Polish Society of Experimental Plant Biology, which will be held in September 16–19, 2013 in Łódź, in University of Lodz Campus – the Faculty of Law and Administration (address: 8/12 Kopcińskiego St., 90-232 Łódź). This Conference provides an international forum for scientists from Poland and abroad involved in research on plant biology. Topics covered by the Conference Sessions include: plant cell biology, gene expression regulation in plants, mechanisms of plant growth and development, plant–microbe interaction, mechanisms of abiotic stress tolerance in plants. Faculty of Biology and Environmental Protection, University of Lodz.